I was reading the recent news about the Windows Phone 7 development and how Microsoft wanted to push their product to the market quickly. They promise that developing on the device prove to be not a problem for exisiting developers who has subtle knowledge on C# and Silverlight. 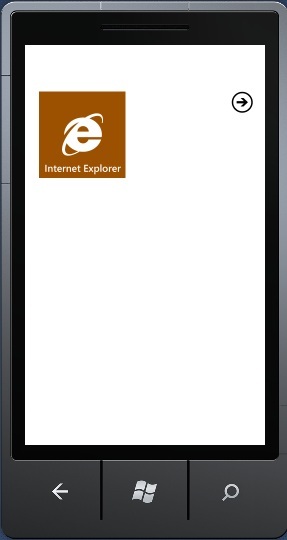 Since I am free for these few days, I decided to take up the challenge and began reading up developing apps for WP7. Here are some of the links for those who might be interested in learning it. To begin developing on anything, one must have an objective and idea what to develop. 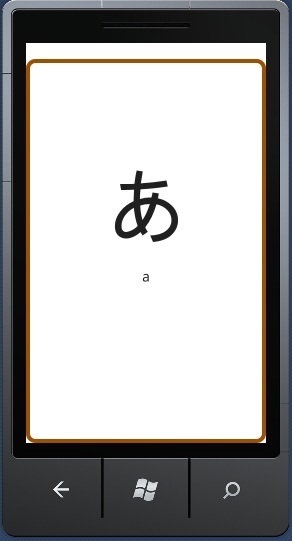 What I think of is building a simple Japanese Flash Card app which has already exist on most platforms except for this one. Silverlight tends to be a bit like ASP + XML 'mojo'. I personally find it more easier to code than in ASP.net. Overall I discover that it helps to reduce alot of client-side scripting. There is still much to learn for me as my current app, I put it more in code-behind. Here are my 1st screenshots released for my first build. 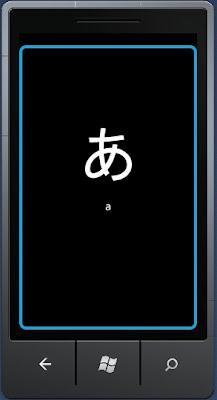 Program logic wise is quite a challenge for me as my purpose of this app is to make it feel like you are holding a deck of cards on your hand. Upon learning it, I decided to discard the flick up and down feature and replace it with double tap. If I tap twice on the upper screen, it will move according to the region I tapping which in this case up and down. One thing unique about WP7 feature is that you can style your app based on the phone profile. In this screenshot I just simply change the color theme and my app is automatically applied on that style. Though the functionalities are almost completed. This app is still far from completion as there is still alot of features like additional syllabograms such as katagana and UI improvement not included in this build yet. Thinking about subscribing for micro sim because of ipad doesnt like your sim? From what I understand, Singapore Telcos are charging more expensive for the micro sim subscriptions. So its better to use cut my sim if you want to save some cash but then Im pretty sure there is not a need to order one. I guess those shops which sells mobile phones should be able to help you for a small fee.